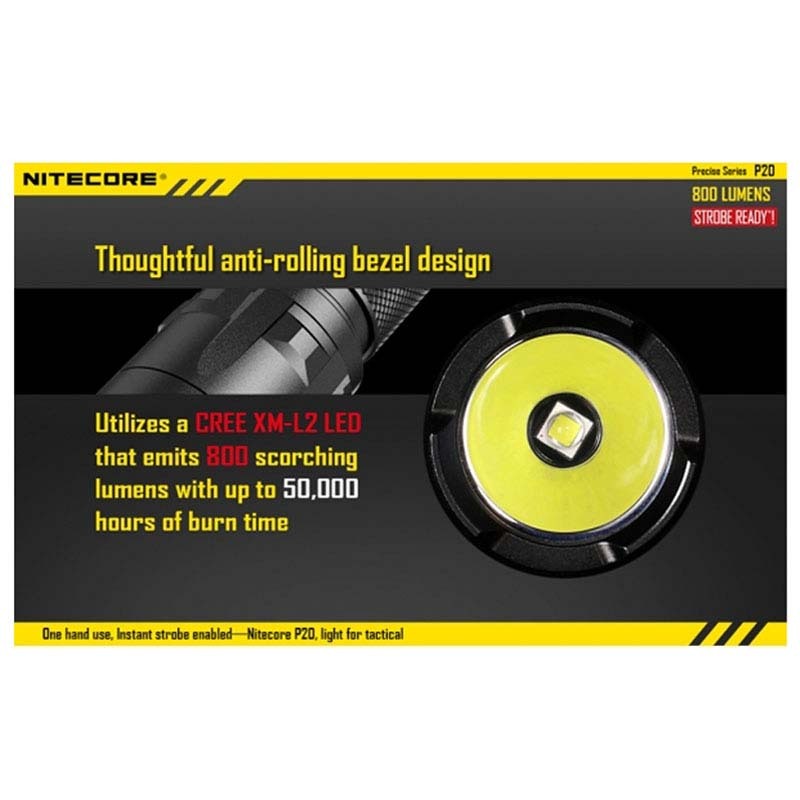 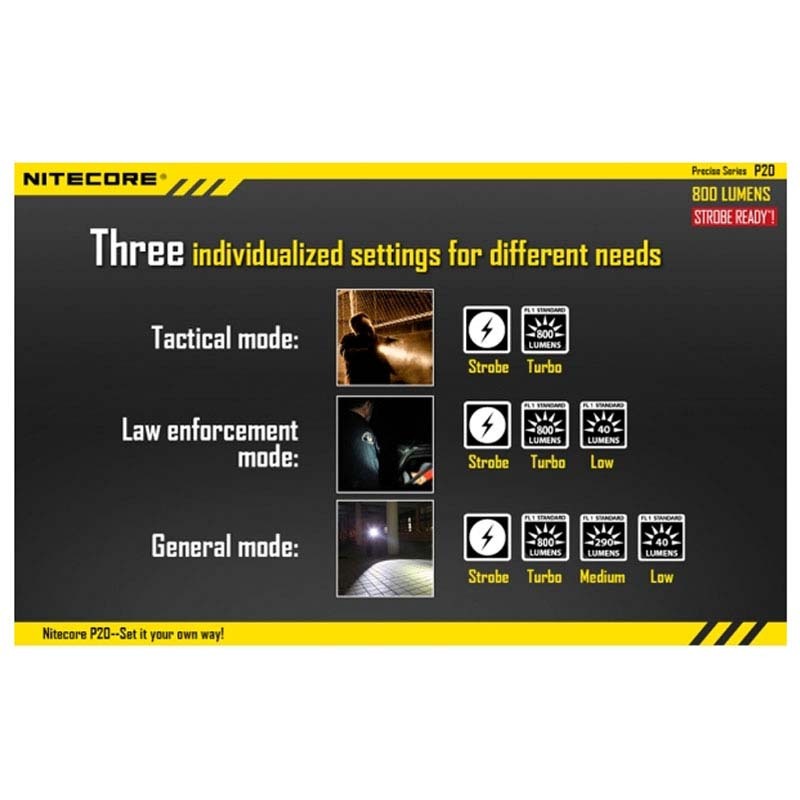 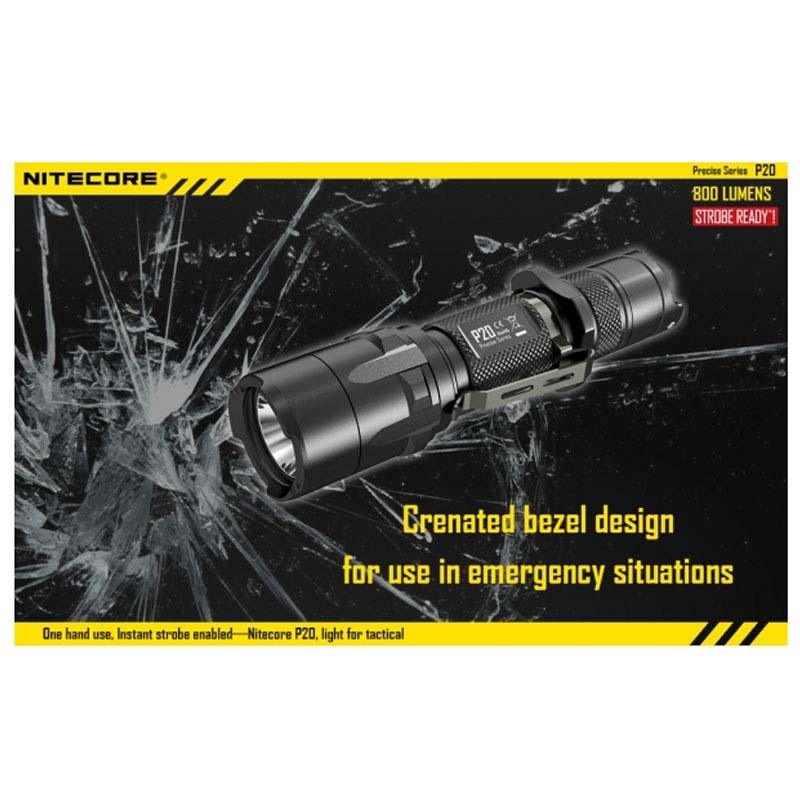 The Nitecore has a maximum brightness of 800 lumens from the Cree XM-L2 T6 LED and is powered by 1x18650 or 2xCR123 or 2xRCR123 batteries. 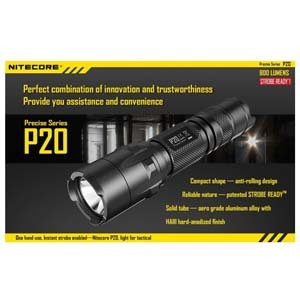 The P20 features a patented lever switch to enable fast and easy access to the strobe mode even when wearing gloves, making it a perfect self defense / tactical torch with true single handed operation. 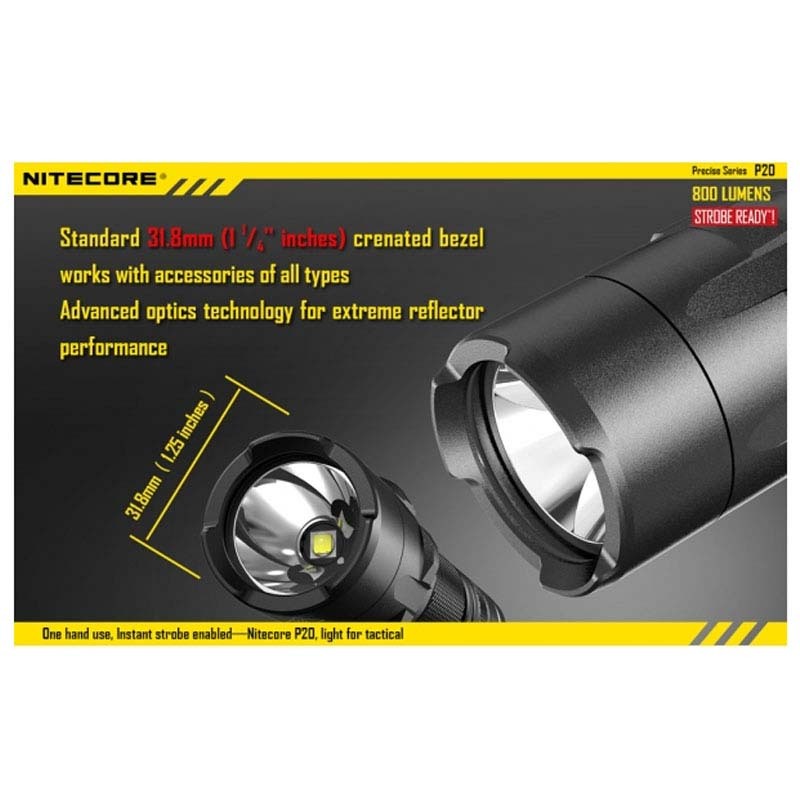 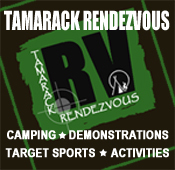 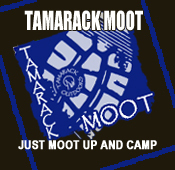 Beam distance of up to 210 meters.